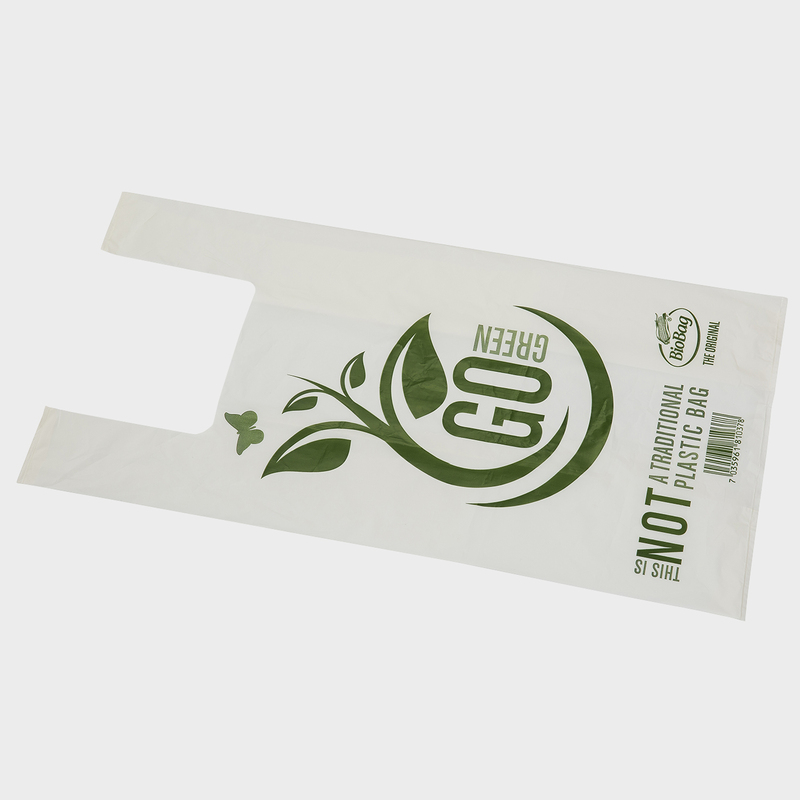 Compostable shopping bags are a great alternative to traditional shopping bags in plastic. With a good conscience, you can use the carrier bags for any purpose and compost them after use. The biobags are made of Mater-Bi®, a material that has been certified as compostable in accordance with the European standard EN 13432. Mater-Bi® is used for creating products with similar, or even better properties than traditional plastics. By using carrier bags in environmentally friendly materials you show both the outside world and your customers that you have a green profile and support sustainable development. In case you need an environmentally friendly carrier bag with your own design and logo, BioBag can help. We supply the bags in different sizes, shapes and thicknesses to suit all needs. We can add logos, images or any other profile-oriented messages. The carrier bags are printed in up to 8 colours on two sides. There are also several design options for the bag. We are currently witnessing a growing interest in minimising the use of traditional plastic, both by consumers and, in particular, by politicians too. Several countries have already introduced a general ban on plastic bags in the retail sector. This trend is spreading to other countries in both Europe and the rest of the world. Many companies see an advantage in having a green profile. 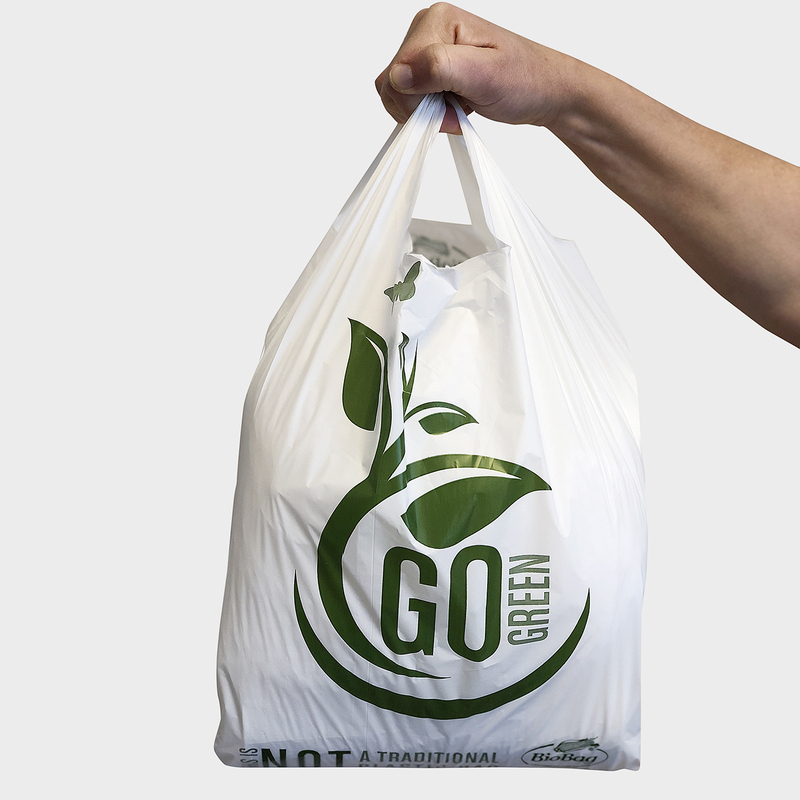 One way is to use environmentally friendly bags instead of either plastic bags or OXO-degradable plastics that are harmful to the environment. 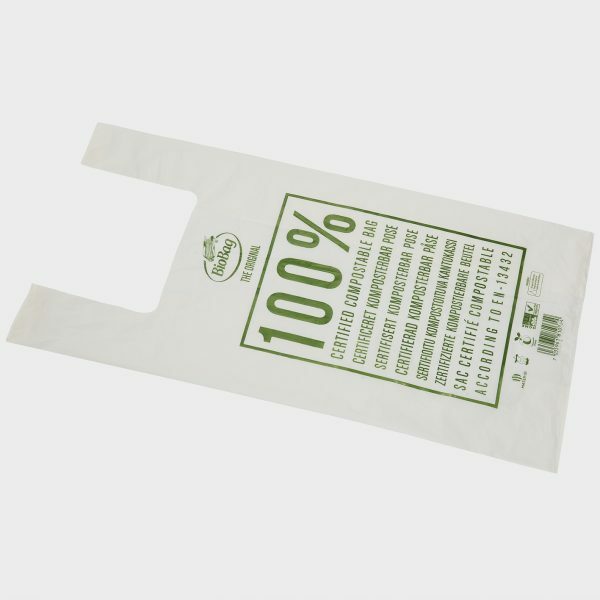 BioBag’s carrier bags in 100% compostable materials can contribute to a company’s green profile while at the same time actively helping to improve the environment. With a good conscience, you can use the carrier bags for any purpose and compost them after use. In the future, it will be increasingly important to use materials, which do not affect the environment. Both in the production process and later when they have been used. The carrier bags are based on a large part of renewable resources from plant-based materials. This means less CO2 is emitted into the atmosphere, since plants absorb CO2 as they grow, thereby making less of an impact on the environment than in the manufacture of oil-based plastic.